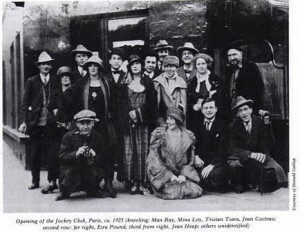 American expatriates in Paris in the 1920s. Migration is an original type of expatriation. People have moved great distances for economic opportunity, religious freedom, or better jurisdictions. In recent history there is no greater example of the migration/expatriation phenomena than America. America has been described as a melting pot of nations. My father expatriated from Europe in the early 1960s to come to America to find a new life, work, and better opportunities. So it’s no wonder that I’ve had the expatriate interest and the desire to travel, work, and live overseas. It runs blue in my veins. Many will be lured overseas by a more affordable sort of living and temperate weather. Some will want to return to their native countries or to places where they once worked or studied. — NY Times, 2005. Expatriates come from all kinds of backgrounds. Relying upon the dictionary definition of expatriate won’t give you the most complete definition. Every person is different. Every person has different interests, hopes, dreams, needs, desires, backgrounds that all come into play and make each expat’s motivation unique. Expatriates coming from the third world may often be motivated by their need for work, better opportunity abroad, and the need to support their families back home through remittances. Expatriates coming from the first world may be motivated less by financial need but rather by the desire for adventure, interest in travel, lifestyle design, once in a life time opportunity, or maybe the need to get run away and start over. The rich, or the Superclass, may be motivated by a desire to keep their earnings and not be heavily taxed. Retirees may be motivated to reduce their cost of living, stretch their savings, and live more comfortably than they otherwise could in their home countries. Companies are in need of the expertise, skills, and knowledge of individuals and will pay to relocate the people who meet their needs. Many black Americans headed to France after World War I when they found that there was more opportunity and a more welcoming atmosphere in France than they experienced in America. With the publication of The 4-Hour-Workweek, Tim Ferriss gave people of his generation, roughly the Millennials, the idea that you did not have to wait until retirement to enjoy life abroad. Rather you could start right now. Liveoffshore provides the expatriate community, adventurers, and travelers with relevant news, information, books, products, and classified ads.